Even if you weren’t a child of the 80’s who treasured a yarn-haired Cabbage Patch Kid (that your parents probably waited hours in line at the toy store to buy - it was definitely the “it” toy of the era), you certainly know someone who did. Cabbage Patch Kids are an icon of childhood nostalgia and a legacy brand that remains relevant and beloved decades after they were born. 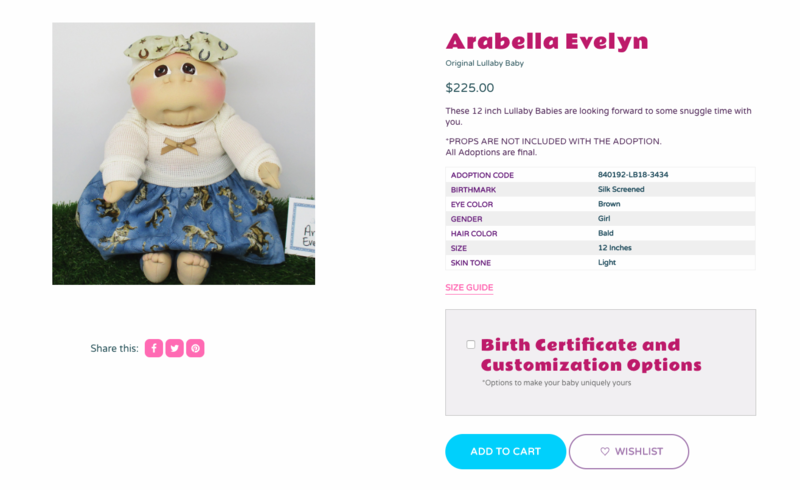 Although you may not find Cabbage Patch Kids in every local toy store today, the brand’s e-commerce presence is strong and hugely popular among its customers. However, over the years, the e-commerce site had become dated: it wasn’t mobile-friendly, had no search engine optimization or sitemap, and its Magento platform was increasingly difficult for staff to manage. We migrated the site from Magento to a simpler platform, Shopify, in order to help the company streamline eCommerce. The three-month project just launched in June 2018, and early traffic is already showing the impact that a mobile-responsive site is making. The past site had no mobile functionality at all, and since the new site launched, it's seen 12,000 mobile visitors (and only 4,000 desktop visitors).